« Twentieth Century HISTORY LIVE! The Action at Djebel Sahariana was a fictional encounter played with RFCM’s PBI in the evening of our summer games day. We are going back to it so this is just an introduction. Operation Torch throws Tunisia into chaos with the French governor uncertain who to trust. 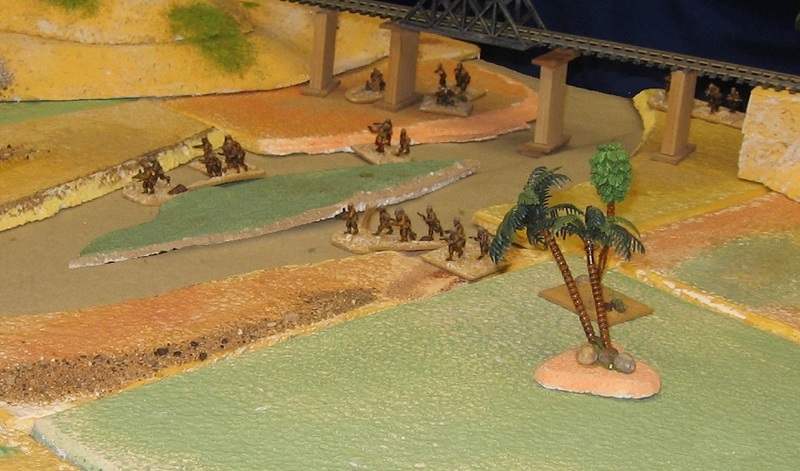 The Germans exploit the uncertainty and airlift in 3 divisions, occupying the French colony. 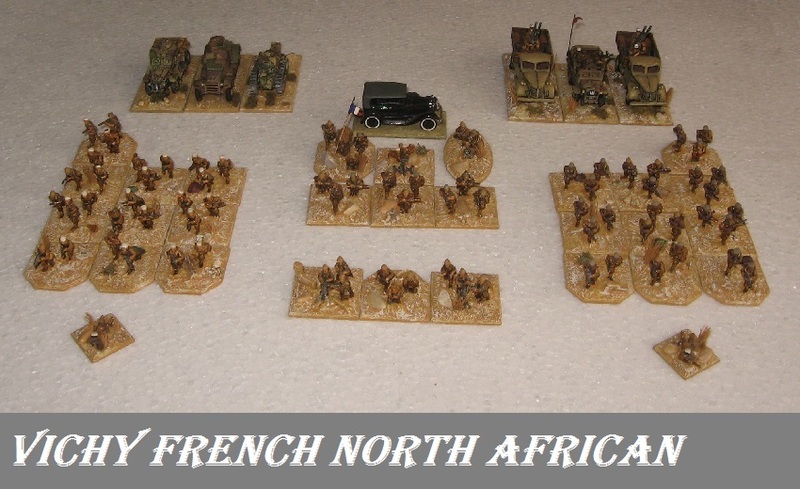 In the mountains of Tunisia, French units are ordered to defend their localities if Axis troops cross the line. 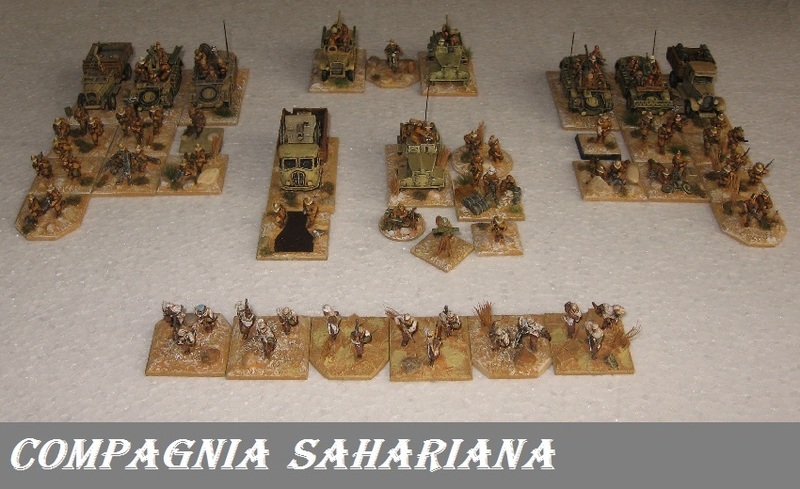 At Djebel Sahariana an Italian desert patrol is caught attempting to refuel at a French logistic dump. 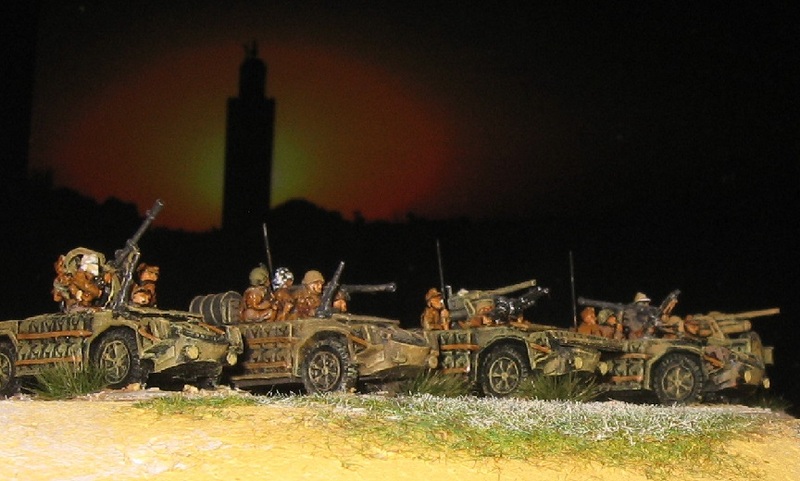 Probably because defending airfields was a core task, Vichy troops in North Africa had a useful supply of mobile AA units, and this company has access to some typical twin 25mm auto-canons mounted on American trucks. It has also cobbled together some ‘armour’ … a Laffly 80, an S15 TOE armoured car and a trusty old (or was that rusty old …) FT17. 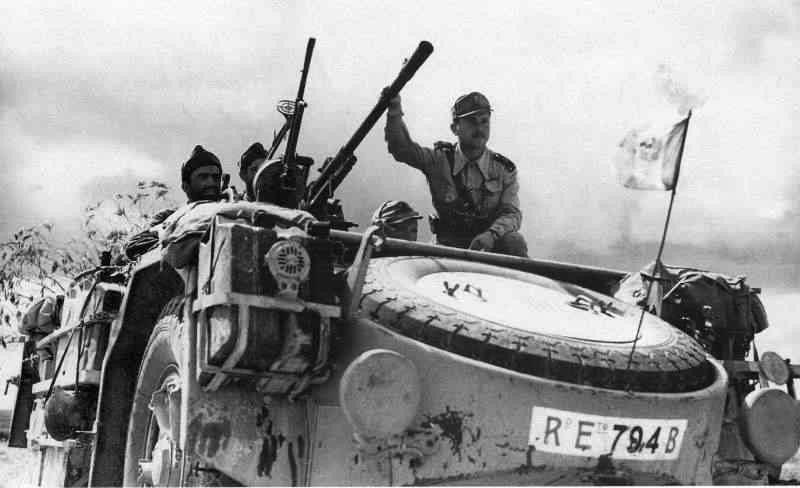 The Company Commander has an HMG and a Flamethrower in his liberated truck, as well as the radio man and code books. In addition, the Company has the enthusiastic assistance of a small unit of local tribal auxiliaries who dislike the French (3 rifles, 2 LMG + a rifle PC). 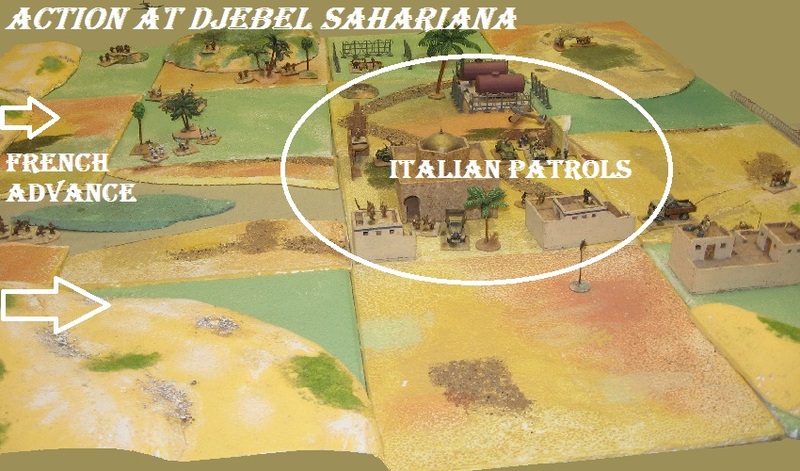 The Italians were allowed to start with a patrol plus the support troops on table in the central areas, plus the tribesmen in an ambush. 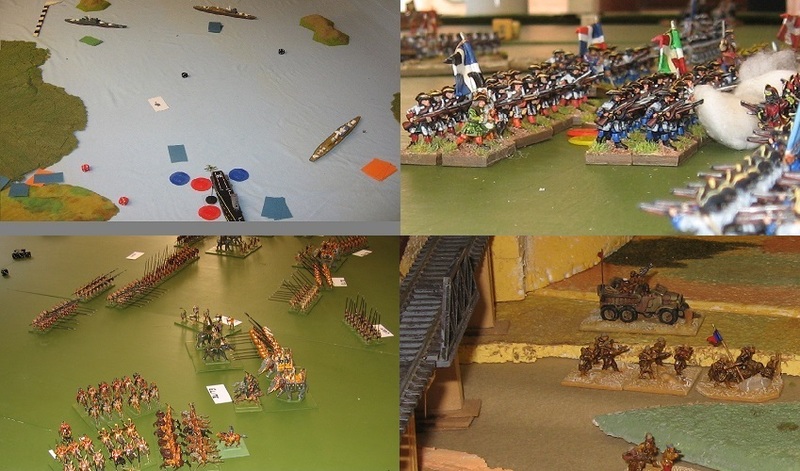 The second patrol would come on as reinforcements. 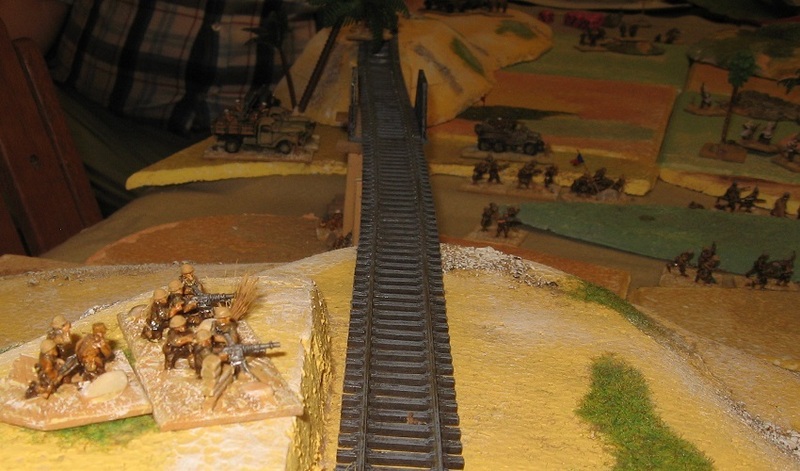 The French (2 players) came on from behind the railway lines in two groups … a rifle platoon each plus either the Company Commander or the HMG platoon. But towards the end of the session, preparatory fire for a speculative attack hit everyone in a section of buildings and the French were fortuitously able to get a foot hold.